A pontoon bridge or floating bridge is a bridge that floats on water supported by pontoons to support the bridge deck and its dynamic loads. 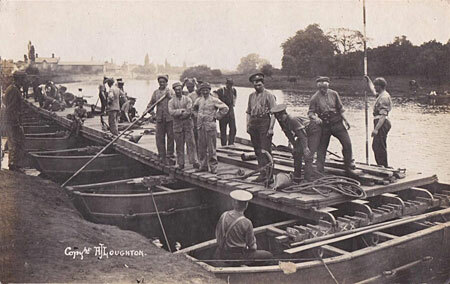 Pontoon bridge are useful in wartime as they are quick to build and quick to dismantle. 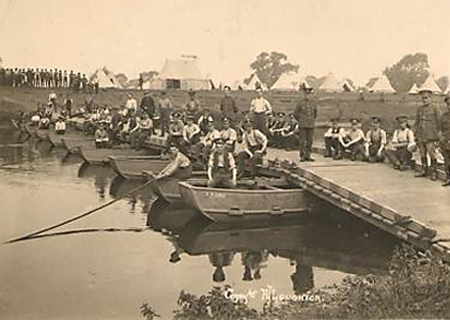 Here soldiers train in the art of pontoon bridge building. A barge glides between the two halves of the pontoon bridge. Presumably its load is parts for the construction of the bridge. 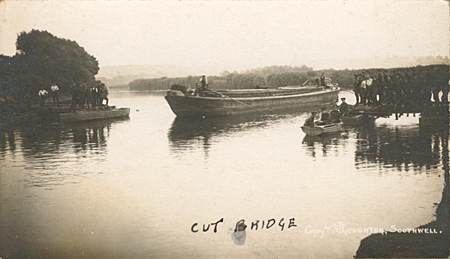 A had written line on the photograph says 'Cut Bridge'. Could this be spanning a cut of the river Trent? The building of the bridge progresses. 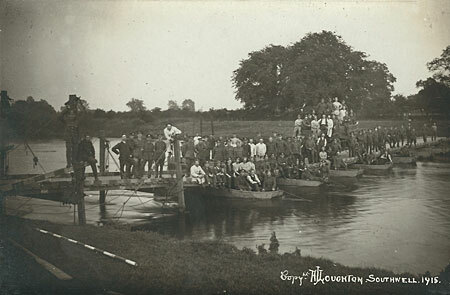 This photograph is dated 1915. 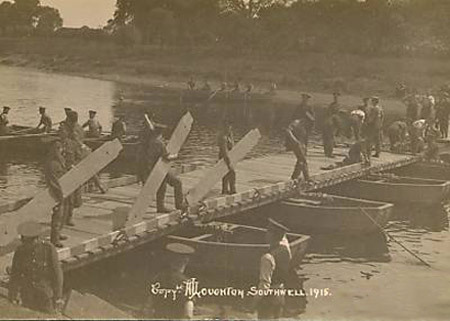 Soldiers carry planks on the pontoon bridge ready to be laid onto the pontoons. I'm not sure if it's the same bridge as above or below. 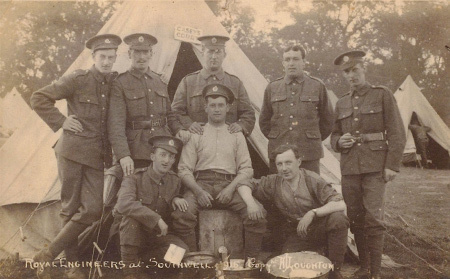 The photograph is dated 1915. 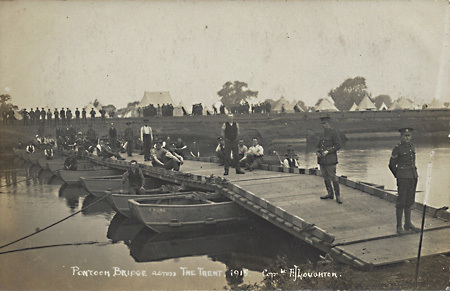 The soldiers pose for Alfred on what looks like a finished bridge. 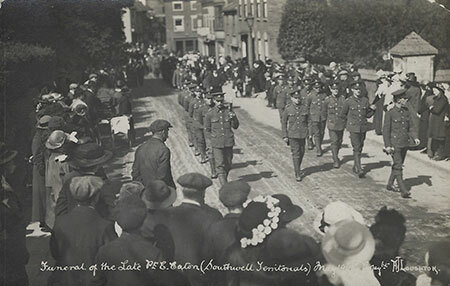 A similar photograph to the one above. The finished item. 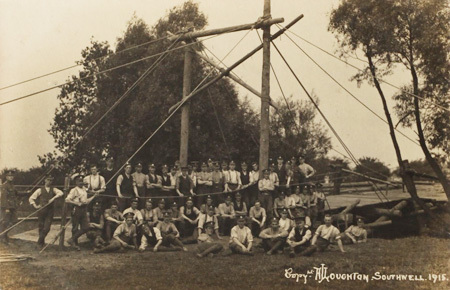 The soldiers of the bridge building team pose for the team photograph. 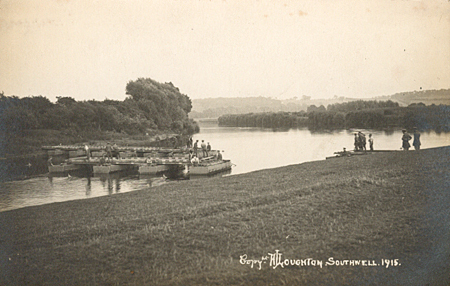 A pontoon bridge lies against the bank. The bridge building team pause for the group shot on the completion of the bridge.